Python is an object-oriented, high level language, interpreted, dynamic and multipurpose programming language. Developed by Guido van Rossum in the early 1990. Like Perl, Python source code is also available under the GNU General Public License (GPL). Python runs on many Unix variants, on the Mac, and on Windows 2000 and later. The Python interpreter and the extensive standard library are freely available in source or binary form for all major platforms from the Python Web site, https://www.python.org/, and may be freely distributed. The Python interpreter is easily extended with new functions and data types implemented in C or C++ (or other languages callable from C). 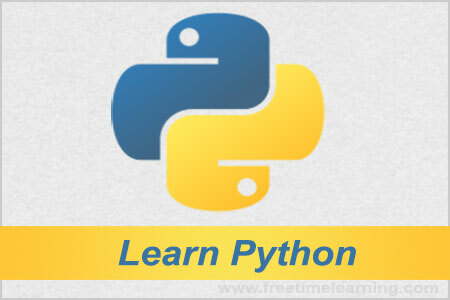 Python is also suitable as an extension language for customizable applications. Python was created as a successor of a language called ABC (All Basic Code) and released publicly in1991. Guido remains Python’s principal author, although it includes many contributions from active user community. Between 1990 and 2017 there are several versions released, current stable release is 3.7. In Python Software Foundation (PSF) was a non-profit organization created specifically to own Python-related Intellectual Property. Python is an Open Source. Python is easy to very easy to use and high level language. Thus it is programmer-friendly language. Python language is freely available https://www.python.org and source-code is also available, even for commercial use. It implies that other languages such as C/C++ can be used to compile the code and thus it can be used further in your python code. Python is processed at runtime by the interpreter. You do not need to compile your program before executing it. This is similar to PERL and PHP. You can actually sit at a Python prompt and interact with the interpreter directly to write your programs. Python supports object oriented language. Concept of classes and objects comes into existence. Object oriented programming (OOP) helps you solve a complex problem intuitively. Databases, web services, networking, numerical packages, graphical user interfaces, 3D graphics, others. Python supports GUI (Graphical User Interfaces) applications that can be created and ported to many system calls, libraries and windows systems, such as Windows MFC, Macintosh, and the X Window system of Unix.